Other number 005-001-51415 Drawing number on cloth label on wiring side of the mother board. Other number 107-000113-02 Etched on component side of the memory daughter board. Other number 114 Rubber stamped on top of mother board component side. Other number 14055 44 Rubber stamped on top of mother board component side. Other number 200-0003-021 Written on label on plastic piece on top of mother board. Part number 005-2413 Of daughter board. Part number 200-003-021 Of the mother board. Serial number 5-12178 Of daughter board. Serial number MEM-07 Of the mother board. 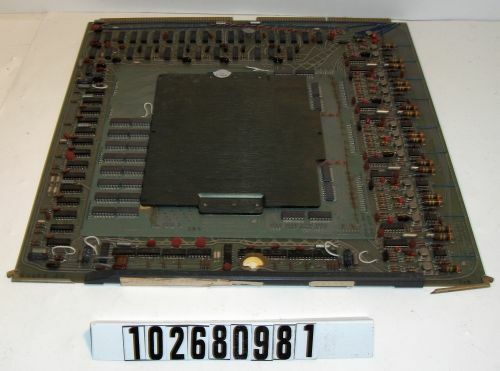 Object consists of a mother board and daughter board. Daughter board has a silver sticker that states it was made in Hong Kong. Daughter board is the memory stack.